We have now walked the Physical/Behavioural Dimension in Part 1, Part 2, Part 3, Part 4 and we’re in and from this Post continuing with the Self-Forgiveness and Self Commitments of the Physical/Behaviour Dimension of the Postponement Character/Personality as an practical example of how to approach the Physical/Behaviour Dimension of a Character/Personality and to see, realise and understand what we in fact accept and allow in our relationship to our Physical-Bodies within and as our starting-point Separation as the Mind of Energy in the Physical as Substance/Matter. It’s furthermore to understand here, that – within ALL the Dimensions, one’s Self-Forgiveness and Self-Commitments will be in direct relationship, only to what one can directly see/identify in one’s existence as a given Personality/Character. The Self-Forgiveness and Self-Commitment we’re walking, with being so expansive/in-depth is utilizing this opportunity within all the Dimensions to show how they work multi-dimensionally and expand self’s awareness to the acceptances and allowances and consequences of our current Mind-Physical Existence. So, here – not to be/become ‘overwhelmed’ by the Forgiveness’s / Statements, but to walk through/read through the statements and expand one’s understanding of the Mind-Physical relationships. I forgive myself that I haven’t accepted and allowed myself to see, realise and understand, how I had in the Moment of facing the Responsibility within the task, writing, assignment / reading – been in that moment quite stable, here, and then drew myself into my Mind into the Negative experiences of boredom/apathy, that influenced/affected me/my body in a ‘Negative Way’. And from there moved myself / my attention / awareness into the Positive experience of enthusiasm, that influenced/affected me/my body in a ‘Positive Way’ – and so, just because ‘I/my Body was Feeling better’ within the context of this moment of facing a responsibility, and rather opting for that ‘Something Else’ I imagined/backchatted/experienced in my Mind: I would opt for the FEELING, instead of the practical reality responsibility of Here. I forgive myself that I haven’t accepted and allowed myself to see, realise and understand how, what I accept and allow within and as the Dimensions and Energies of the Mind, as with for example the Postponement Character/Personality – as I continued my participation within the Negative Dimensions and Energies, from the shoulders tightening, to the stomach cringing/cramping, to my eyes becoming heavy/droopy: that I even alter/change in and as Physical Behaviour, to where my entire Physical-Condition in that moment becomes manipulated into Submission of Mind, where my Physical Body would start slouching, becoming limp/apathetic as I accept and allow myself to become the PHYSICAL EMBODIMENT of what I accept and allow as who I am in and as the Mind. I forgive myself that I haven’t accepted and allowed myself to in/as this Moment Question the condition/behaviour with and as the Physical Body, with regards to what it’s in fact SHOWING me within who I am in that moment. But, because I am so separate from/of the Physical Body, not seeing, realising and understanding the connection/relationship between the Mind and the Physical and the extent to which I in fact influence/affect it within my accepted and allowed participation of ENERGY and within that, Personality Systems and the Dimensions of it: that I actually then use this Physical-Feedback as a further self-manipulation point in validating, excusing, justifying why it is that I must not face/complete this Responsibility before me, but instead opt for the Positive FEELING that I will be creating in my MIND. I forgive myself that I haven’t accepted and allowed myself to see, realise and understand how, what I accept and allow within WHO I AM within me in my relationship to the Physical Body, the Physical Body will accordingly reflect/SHOW, such as with for example the shoulders, the stomach and the eyes to the physical behaviour of slouching/becoming limp/apathetic. That what I should have done is REFERENCE THE PHYSICAL as the REAL feedback of what it is that I am in fact doing, accepting and allowing, and so in that moment, should have stopped/breathed and assessed how/why I am changing my experience and so the physical’s experience in this moment, instead of being STABLE, here with and as PHYSICAL BREATH and simply getting the task/writing/assignment/reading Done. I forgive myself that I haven’t accepted and allowed myself to see, realise and understand, how I had accepted and allowed myself to participate in the Negative Dimensions, manifesting the internal and external Negative experiences/behaviour, and then shifted into and as the participation of the Positive Dimensions, manifesting the internal and external Positive experiences/behaviour – with me sitting more upright in the chair/couch, experiencing more ‘strength’ in my Physical Body as opposed to the apathy/limpness/slouching I physically experienced just a moment ago. In this, I forgive myself that I haven’t accepted and allowed myself to question HOW or WHY it is that I in ONE MOMENT can physically internally and externally experience myself a certain way and then the next moment, internally and externally experience myself differently, from the perspective of actually creating/manifesting Negative and Positive experiences in my internal and external physical-body environment based-on my WHO I AM in the Dimensions and Energies of the Mind. That I never had taken this questioning ONE STEP FURTHER with regards to: What does the ACTUAL PHYSICAL then really in fact ‘experience’? Because, I mean – it’s most certain NOT the Physical Body placing itself within the conditions internally and externally as Behaviour based on the POSITIVE and the NEGATIVE: I AM doing all of this in my MIND. And then taking it to the Moment BEFORE I activated this Personality/Character where my physical body was stable, here, I was stable, here – and then all of a sudden it changing from the Negative to the Positive with me mentally and physically manipulating myself out of a Physical, Practical Reality Responsibility. That, if/as I was HERE, in fact breathing with the Physical in and as Stability, I would have remained here as stability, breathing and getting the task/writing/assignment Done. And so in this, why/how the EXPERIENCE and internal and external changes I IMPOSED on and within the Physical Body is not in fact the REAL reflection of the natural Physical Expression of HERE. Because in ALL the conditions I created as who I am and so the Physical Body: what Benefitted was the Mind as I followed my ENERGY EXPERIENCE/FEELING as the Positive and did not commit myself to stand here with actual, real, physical, practical reality Responsibilities. I forgive myself that I have accepted and allowed myself to externally change my physical-behaviour with slouching/limping my Physical Body, based on what I accepted and allowed in/as my participation and definitions of the Dimensions and Energies of/as the Postponement Character/Personality. That I have furthermore from there deluded/manipulated myself and my Physical Body and my experience within it all, to create WITH ENERGY the experience of being more ‘awake / the body having more ‘strength’’ based on the energy experience of/as Enthusiasm as I accumulated the Positive Energy in my Personality Systems, creating the Illusion that it is the Physical Body experiencing more ‘strength’ / ‘awakening’, when it’s in fact me having given the Mind its Energy-Fix and so accordingly its ‘strength’ as Energy. I forgive myself that I haven’t accepted and allowed myself to furthermore within this see, realise and understand how, within the context of this Moment, that I never questioned but, how can this ‘strength’ really in fact be REAL, if I cannot stand as this ‘strength/awakening’ in/as a constant, continuous, breath-by-breath physical, real expression, but that this ‘strength’ only was EXPERIENCED when/as I participated in/as the ENERGY of Enthusiasm to/as which my Physical Body responded. Because then, in this – is it REALLY the Physical Body IN ITSELF experiencing strength/awakening? No, it’s me creating this experience as ENERGY imposed in/on the Physical Body. That a REAL state/condition of the PHYSICAL would be STABLE, HERE as Breath – with no fluctuation in ENERGY EXPERIENCE that I CREATE within the polarities of the Negative and the Positive, because for this experience of ‘strength’ to have existed, I first had to create the conditions of/as the opposite as the limpness, boredom/apathy /slouching. 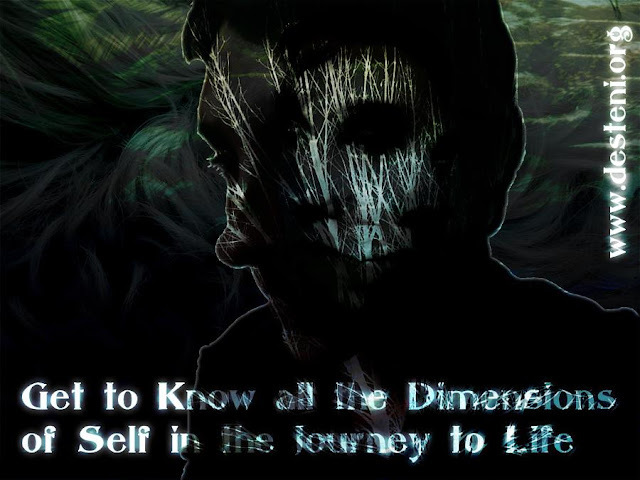 That, I, as most human beings in this world, do not see, realise and understand the GAMES we play in our Mind with Dimensions, Energies as Personalities and how we manipulate our WHO WE ARE in the MIND through how the physical body respond to ENERGIES / our instructions. And that we continue manipulating ourselves and the physical in and between the Negative and the Positive, throughout our lives; NEVER ONCE here as the actual natural stability of hereness as the BREATH and discovering the true EXPRESSION of the Physical, that does not exist/depend on ENERGY. I forgive myself that I have accepted and allowed myself to make me, as my beingness and my physical body a slave to the Mind as Energy, not ever really in fact being HERE; as all that I do as I see-saw in and between the Negative and the Positive is generate ENERGY for the Mind at the sacrifice of the physical. As I in my mind, beingness and physical relationship instructed/manipulated the Physical to respond to ENERGY, never considering the question, but WHO AM I, WHO AM I as the PHYSICAL – as all that I have believed/perceived myself to be is the MIND, is ENERGY – not ever questioning the very PRIMARY RELATIONSHIP to my PHYSICAL BODY, that I to this day cannot even communicate with, or do not even realise how its SHOWING me what I am doing, accepting and allowing within WHO I AM within and as it. We’ll in the next post continue with the Commitment Statements and within that some examples of how the Physical Body communicate what we accept and allow within and as it, from the perspective of how, what we accept/allow within who we are – in fact affect/influence the Physical Body and our experience/living within and as it.